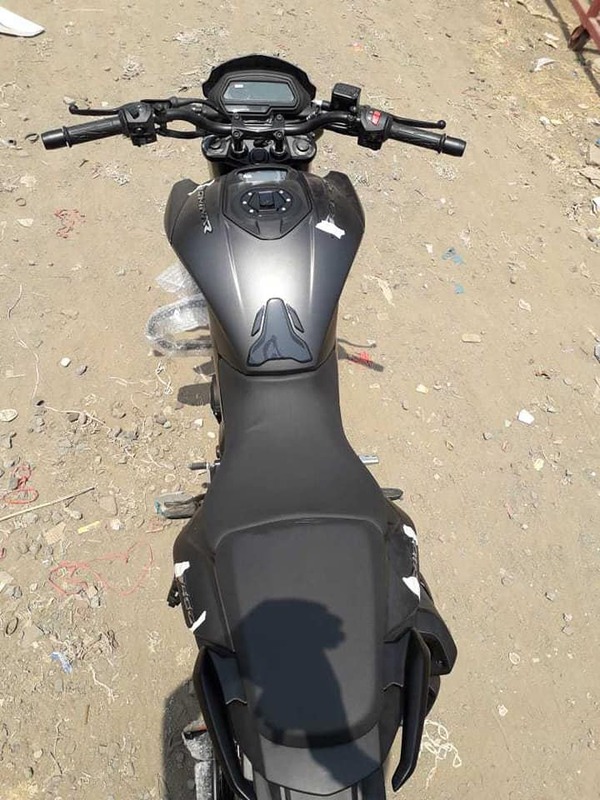 The 2019 Bajaj Dominar 400 has started reaching dealerships, and recently, one of the dispatched units was spotted featuring an unannounced matte black paint for the first time. Till now, the 2019 model was seen in just the green colour option. The matte black Dominar 400 appears stealthy and appealing. The 2019 Bajaj Dominar 400 has been seen in two new colours: green and matte black. The new Bajaj Dominar 400, as per a leaked price list, would cost INR 1,73,870, a premium of INR 10,795 over the old model that retails at INR 1,63,075 – both ex-showroom Delhi prices. The upgraded model, as reported in the past, packs several visual and mechanical upgrades over its predecessor. For starters, the 2019 iteration comes with upside-down telescopic forks instead of conventional units that give the motorcycle a beefier look. Shock absorption tasks at the rear are continued to be performed by an adjustable monoshock suspension. The 2019 Dominar 400 retains the full LED lighting. The internals, however, have been revised for better performance. Like the headlamp, the tail light benefits from updated internals. List of changes continue to the cockpit, and the 2019 model comes with two screens to offer an uncluttered view to the ride related information. The engine's displacement is the same - 373.2 cc, but it features a dual overhead camshaft now. The liquid-cooled motor with three spark plugs has received a remapped ECU, and it now makes at 40 PS at 8,650 rpm and 35 Nm of peak torque at 7,000 rpm. The added power has resulted in an improved power-to-weight ratio of 217 PS/ton (Vs 192 PS/ton). The top speed has gone up to 156 kph (Vs 148 kph). The changes are extended to the braking department too. The 2019 Dominar 400 gets radially mounted calliper at the front, and the disc repositioned to the left side of the motorcycle. The disc sizes, however, remain unchanged at 320 mm and 230 mm. The safety net of a dual-channel ABS would now come as standard. 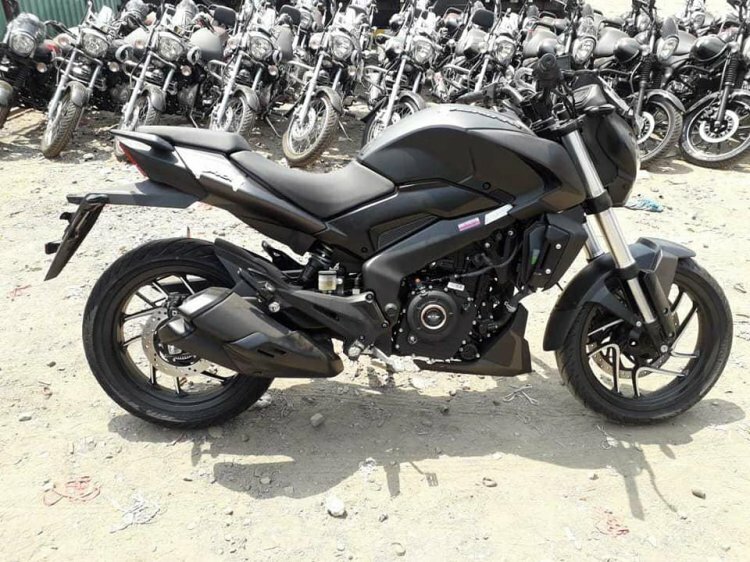 The matte black colour gives the 2019 Bajaj Dominar 400 a stealthy look. The updated model carries a premium of INR 10,795 over the old model. Apart from its Austrian sibling, the KTM 390 Duke, the new Dominar 400 rivals the TVS Apache RR310, BMW G 310 R and the Honda CB300R. It is the most value-for-money motorcycle in its segment, while its rivals retail above the INR 2 lakh (ex-showroom) mark.